Professor Petruzzi’s research explores the economic implications of uncertainty within the primary focus areas of operations and supply chain management, pricing, and stochastic inventory theory. His work appears in various academic field journals including Operations Research, Management Science, Manufacturing & Service Operations Management, Production and Operations Management, Naval Research Logistics, IIE Transactions, Decision Sciences, European Journal of Operations Research, and International Journal of Production Economics. 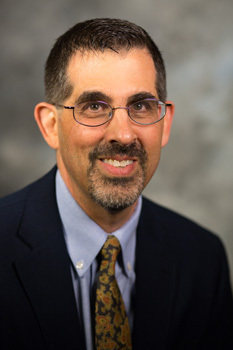 Prior to joining Penn State in 2015, he spent nineteen years as a faculty member in the Department of Business Administration at the University of Illinois at Urbana-Champaign, where he also served as Academic Director for MBA Programs from 2006 to 2014. He has developed and taught courses primarily at the MBA level in operations analysis, project management, manufacturing planning and control, and the design and management of service systems. Currently, he is serving as Associate Editor for Management Science, as Department Editor for Decision Sciences, and as a member of the Editorial Board for Production and Operations Management. Previously, he served as Associate Editor for Manufacturing & Service Operations Management. Shi H., Liu Y., Petruzzi N. C., "Informative advertising in a distribution channel." European Journal of Operational Research, vol. 274, 2018, pp. 773-787. Liu Y., Shi H., Petruzzi N. C., "Optimal quality and quantity provisions in distribution channels: Market size uncertainty effects." European Journal of Operational Research, vol. 265, 2018, pp. 1144-1158. Murali K., Lim M. K., Petruzzi N. C., "The effects of ecolabels and environmental regulation on green product development." Manufacturing & Service Operations Management, 2017. Li M., Petruzzi N. C., Zhang J., "Overconfident competing newsvendors." Management Science, vol. 63, 2017, pp. 2637-2646. Li M., Petruzzi N. C., "Technical note -- Demand uncertainty reduction in decentralized supply chains." Production and Operations Management, vol. 26, 2017, pp. 156-161. Shi T., Gu W., Chhajed D., Petruzzi N. C., "Effects of remanufacturable product design on market segmentation and the environment." Decision Sciences, 2016. Murali K., Lim M. K., Petruzzi N. C., "Municipal groundwater management: Optimal allocation and control of a renewable natural resource." Production and Operations Management, vol. 24, 2015, pp. 1453-1472. Gu W., Chhajed D., Petruzzi N. C., Yalabik B., "Quality design and environmental implications of green consumerism in remanufacturing." International Journal of Production Economics, vol. 162, 2015, pp. 55-69. Yalabik B., Chhajed D., Petruzzi N. C., "Product and sales contract design in remanufacturing." International Journal of Production Economics, vol. 154, 2014, pp. 299-312. Shi H., Liu Y., Petruzzi N. C., "Consumer heterogeneity, product quality, and distribution channels." Management Science, vol. 59, 2013, pp. 1162-1176. Petruzzi N. C., Dada M., "Newsvendor models." Encyclopedia of Operations Research and Management Science, edited by Cochran, J. J., Cox, L. A. Jr., Kes, John Wiley & Sons, Inc., 2011, pp. 3528-3537. Petruzzi N. C., Wee K. E., Dada M., "The newsvendor model with consumer search costs." Production and Operations Management, vol. 18, 2009, pp. 693-704. Wu C., Petruzzi N. C., Chhajed D., "Vertical integration with price-setting competitive newsvendors." Decision Sciences, vol. 38, 2007, pp. 581-610. Dada M., Petruzzi N. C., Schwarz L. B., "A newsvendor’s procurement problem when suppliers are unreliable." Manufacturing & Service Operations Management, vol. 9, 2007, pp. 9-32. Liu B., Petruzzi N. C., Sudharshan D., "A service effort allocation model for assessing customer lifetime value in service marketing." Journal of Services Marketing, vol. 21, 2007, pp. 24-35. Yalabik B., Petruzzi N. C., Chhajed D., "An integrated product returns model with logistics and marketing coordination." European Journal of Operational Research, vol. 161, 2005, pp. 162-182. Monahan G. E., Petruzzi N. C., Zhao W., "The dynamic pricing problem from a newsvendor’s perspective." Manufacturing & Service Operations Management, vol. 6, 2004, pp. 73-91. Petruzzi N. C., Monahan G. E., "Managing fashion goods inventories: dynamic recourse for retailers with outlet stores." IIE Transactions, vol. 35, 2003, pp. 1033-1047. Petruzzi N. C., Dada M., "Dynamic pricing and inventory control with learning." Naval Research Logistics, vol. 49, 2002, pp. 303-325. Dana, Jr. J. D., Petruzzi N. C., "Note: The newsvendor model with endogenous demand." Management Science, vol. 47, 2001, pp. 1488-1497. Petruzzi N. C., Dada M., "Information and inventory recourse for a two-market, price-setting retailer." Manufacturing & Service Operations Management, vol. 3, 2001, pp. 242-263. Petruzzi N. C., Dada M., "Pricing and the newsvendor problem: A review with extensions." Operations Research, vol. 47, 1999, pp. 183-194.